But many activists say this is needed to build confidence in students who face discrimination. Telangana set up 30 colleges for Dalit women in June last year. A university for Adivasi students in Jharkhand was announced in January. And last fortnight, a committee tasked with recommending ways to improve education standards among religious minorities submitted its report proposing the creation of 211 central schools, 25 community colleges and five national institutes for them. These will be run by the Maulana Azad Education Foundation – an autonomous institution under the Ministry of Minority Affairs, which prepared the report – and not by the Ministry of Human Resource Development, which oversees India’s education sector and is responsible for implementing the Right to Education Act 2009. The central law mandates inclusive education – the public system must be open and accessible to children from every type of background, caste, religion and ability. But the practice of creating separate schools and colleges for children of marginalised communities is growing. While the Ministry of Tribal Affairs has been running Ashramshalas or residential schools for Adivasi children since 1990-’91, a separate structure for religious minorities will be a first. RS Praveen Kumar, secretary, Telangana Social Welfare and Tribal Welfare Residential Educational Institutions Society, which runs Telangana’s schools and colleges for Scheduled Caste and Scheduled Tribe students, thinks such parallel systems help. “In regular government schools, the pattern of oppression in society is replicated,” he said. “Telangana’s welfare schools have built confidence in children from marginalised communities, helping them find place in premier higher education institutions such as the Indian Institutes of Technology. 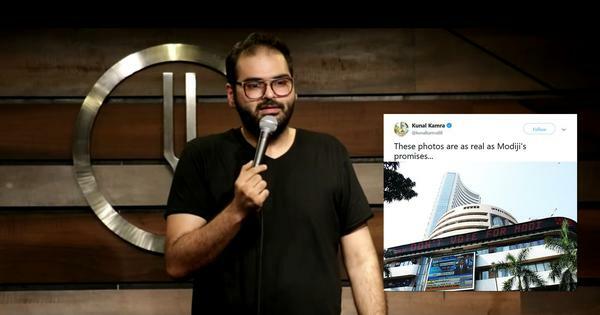 I do not think this would have been possible if they studied in the regular government schools.” Kumar is an alumnus of a welfare school himself. Everyone – education activists and marginalised communities – agrees that both the Centre and the states have failed spectacularly to make public education inclusive even after the Right to Education law was passed. Consequently, children from marginalised groups are harder to retain in school. Historically, India’s caste system excluded Dalits or Scheduled Castes from all learning. Adivasis or Scheduled Tribes were also denied education. As a result, most of their children now attending school are first-generation learners. In addition to discrimination, they face problems due to poverty, not having teachers from their own communities and, in some cases, a medium of instruction they do not understand. The gap continues in higher education. Maulana Azad Education Foundation’s report shows only 6.74% of Muslims aged 20-24 were graduates or had enrolled in higher education in the 2011 Census, well below the national average of 11.81%. 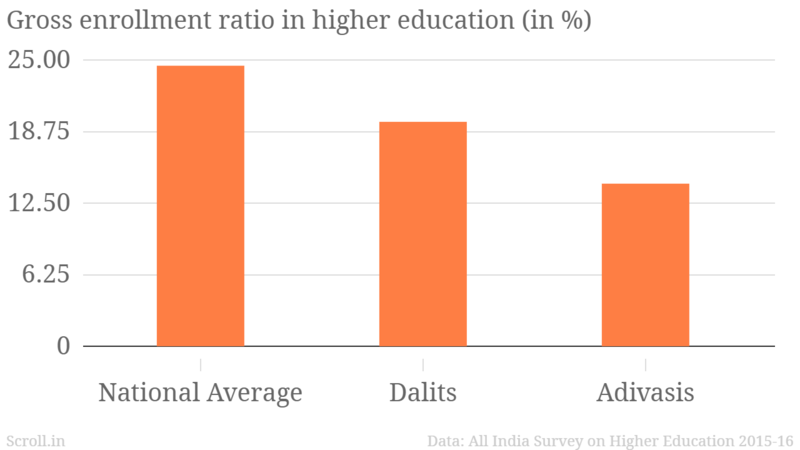 The percentage of Dalits and Adivasis enrolling in higher education is significantly lower than the national average. 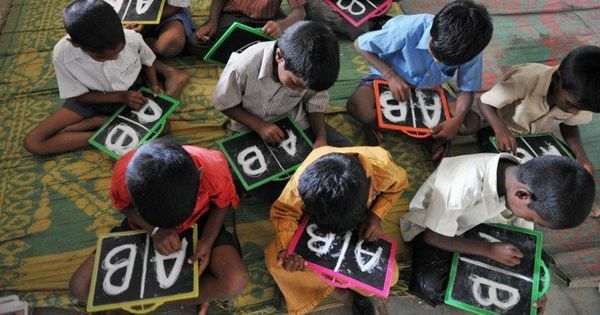 Telangana secretary Kumar pointed out that there are still schools where upper-caste children refuse to eat mid-day meals prepared by Dalit cooks. Suicides of Dalit students on university campuses – such as that of Rohith Vemula in Hyderabad in January 2016 – exposed how they struggle even in institutions like Jawaharlal Nehru University in Delhi and Hyderabad Central University, which are top-ranking universities, known to be liberal spaces. Dalit university students have also recounted humiliating admission and viva voce interviews – they felt they were treated differently, especially for not being comfortable with English, as many of them are not. Governments have responded to the challenge of educating communities long excluded from formal systems with a range of special measures. Andhra Pradesh’s social welfare department was the first to form a separate society – the Andhra Pradesh Social Welfare Residential Institutions Society – in 1987, to run residential schools almost exclusively for children from Scheduled Castes, Tribes and Other Backward Classes. Other states, including Gujarat and Odisha, have replicated this format since. Now both run “model residential schools” for Adivasi children. 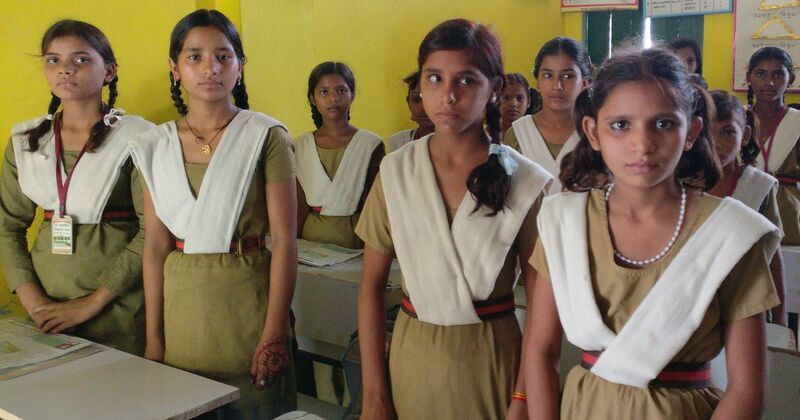 Measures taken by the Union government have included the ashram schools and, since 2000, Kasturba Gandhi Balika Vidyalayas, for girls. “Residential schools have played a crucial role in educating tribal communities and provided a route to higher education,” said a Delhi-based academic, requesting anonymity. But she, and others like Namala, have pointed out that in many states the condition of these schools is very poor. Maharashtra, for instance, has seen over 1,400 deaths of students in them over 15 years, most of them attributed to “severe illness” or not explained at all. A state committee constituted to look into it found poor quality food and children going hungry for many hours in a day. Telangana social welfare department, which already ran separate schools for Dalits and Adivasis, added 30 colleges for Dalit women and another 14 for Adivasis last summer. The objective, Kumar said, was to “break the cycle of early marriage”. Kumar defended policies for such separate institutions. “Even in the so-called liberal spaces, a softer version of oppression is practiced,” he said. 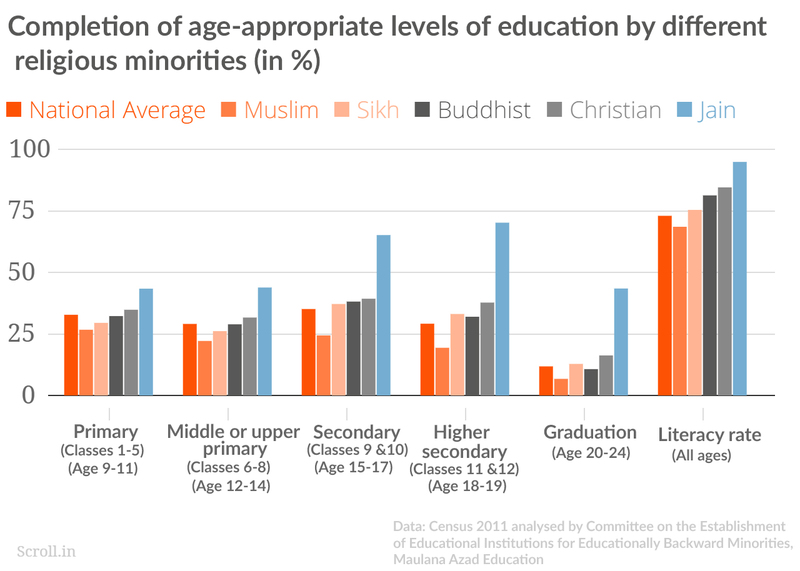 Muslims lag behind other minorities at every level of education. 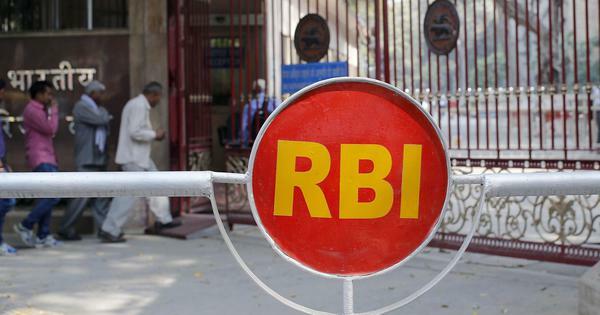 The committee zeroed in on limited access to central institutions as the primary reason. It mapped the percentage of Muslim children enrolled in existing central schools – Kendriya Vidyalayas, Kasturba Gandhi Balika Vidyalayas and Jawahar Navodaya Vidyalayas – against their percentage in the population and found a gap in every case. It made no assessment of mainstream government schools run by states’ education departments. Instead, it offered to set up and run a separate system. It has proposed 211 schools, affiliated to the Central Board of Secondary Education, for areas with high concentration of religious minorities. Additionally, 25 community colleges and five national institutes to run postgraduate and research programmes, have been proposed. Although the report carefully skirts the question of reservation, it promises that, from primary education to research, this “three-tier model” will “take care of the minorities”. So far, support for education of minorities has been extended through schemes for scholarships to individuals and grants to institutions. The National Commission for Minority Education Institutions, established in 2004, grants minority status, looks into complaints and protects against violations or denial of rights. Education activist Naaz Khair said that having more central schools will help, because they are “better run”. But she said that she cannot endorse the plan unreservedly. “The goal is to have a common schooling system,” she said. “Letting the Ministry for Minority Affairs run these separately will represent a deviation from that path.” She also noted that the report made no mention of the educational status of Muslims categorised as Other Backward Classes who are “the most backward”. In principle, Namala, Agwan and Kumar, all believe in a common education system that students of all backgrounds attend. But Namala argued that given the glacial pace of change waiting for the mainstream to grow sensitive will mean writing off an entire generation of students and their futures. 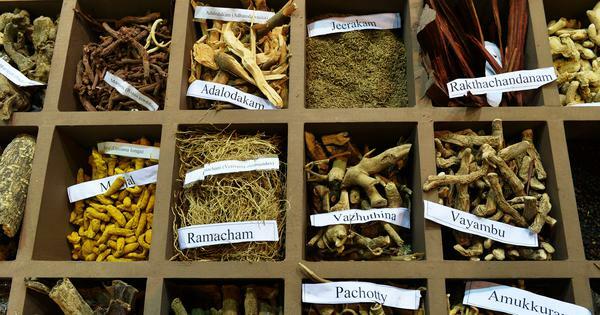 “You must be practical,” said Namala. “You cannot ask people to bear the humiliation for another decade.” She is also singularly pessimistic about the possibility of change. “After Una [in Gujarat, where seven members of a Dalit family were beaten brutally by cow vigilantes last July] and Saharanpur [where caste violence erupted in May], I think marginalised communities need the safety of institutions where they form the majority, at least for the immediate future,” she said.